On today’s show Dan and Lizzie take your questions on calling out adult children, phone call faux pas, dining out with toddlers, engagement gifts for old friends, and tipping for non-taxi car services. 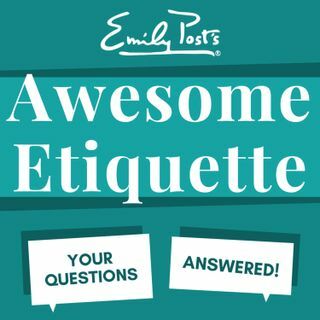 Plus your most excellent feedback, etiquette salute and a postscript segment inspired by our assistant producer Bridget on week one of a new job. The Awesome Etiquette sustaining members extra question of the week is about about Airbnb for family and Friends.